When you are a young child, who teaches you information? Who guides you along the way? Your parents, or guardians, yes, yes of course, well one would hope that they do. However, your siblings provide the examples. Watch a child, any young baby, or toddler when they are amongst other people. They are fascinated by the alternative human beings beyond those in their small niche. They are most intrigued by other young people. They can distinguish between adult and child. Their stares and interest are paired with a hard wiring in the brain that encourages them to try to emulate the behavior they see. This is the learning process folks. My guide was Debbie. Now I realize I have already touched on this subject a bit in previous blogs, but this topic of learning is different. Debbie taught Hebrew classes at our synagogue in her late high school and early college years. I loved it. I can still see you walking down Temple Beth Shalom’s hallways with a giant Hebrew alphabet board and a bag of books slung over your shoulder. You sang the alef, bet, vet, with my kindergarten class, I’m not sure if you remember. My teacher was Joy Grisan. I loved her. I felt special in her class and I enjoyed her story telling and art projects combined into one. I can fondly recall the story of baby Moses in the reeds. We used pipe cleaners to fashion our tiny Moses baby and made itty-bitty baskets to hold him within. I can see the tiny dixie cups filled with grape juice for snack time. Our mom was the executive Hebrew School coordinator and long time volunteer for years. Sunday school was a familiar affair. Correct me if I’m wrong, I mean, I was little, but I think Joy took you under her wing and showed you some ideas, lessons, and helped you organize yourself as a traveling Hebrew teacher. I know that this was one of your part-time jobs in Bellingham during your first few years of college, or maybe it was all four years. 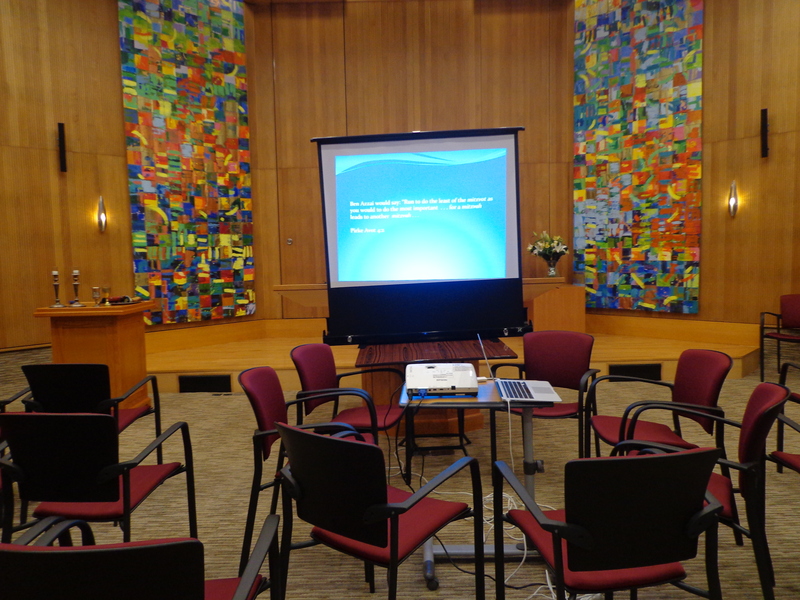 Your days at Temple Beth Shalom helped shape your abilities as a teacher. Early classroom management, choral reading, and literacy skills were being fostered under your tutelage. 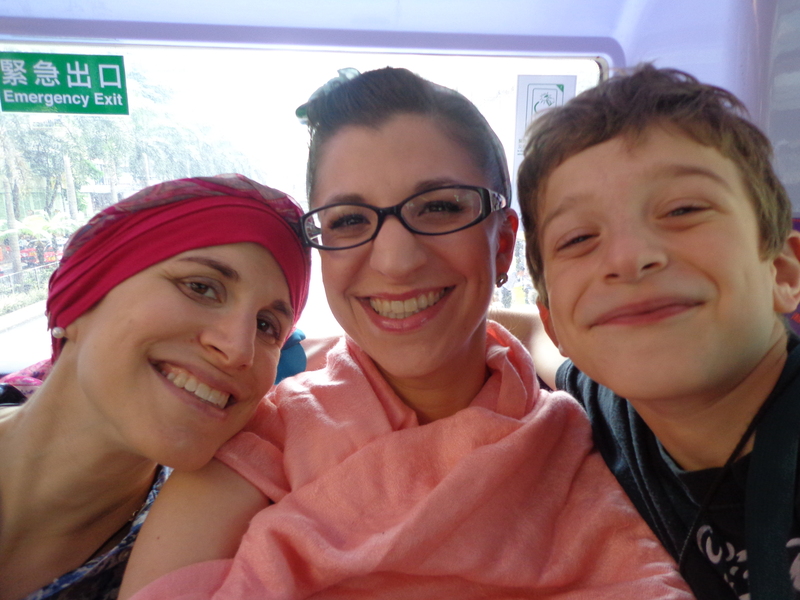 Sharing in this same experience of Jewish culture with life in Hong Kong was so important to me this past fall. I am grateful for the Shorashim experience we had together. I loved it. Every minute of sitting with you and Declan. I loved how he’d look up at me and see if I was singing along too. He was adorable. I loved sitting in services and being given the gift of a community experience to question the Torah and think together. This is one of the most important things, I believe about our culture. The ability to question and have a shared learning with other people. It all goes back to education, and the connectivity of all of this with music. I love you Debbie! Have a Happy Monday of vacation. xoxo.